Late yesterday reports broke that U.S. Food & Drug Administration (FDA) Commissioner Scott Gottlieb would be resigning his position next month. The move comes less than two years after Gottlieb was confirmed to the position in May 2017. Gottlieb’s confirmation was supported by cigar industry groups based on his prior writings questioning the logic of FDA tobacco cigar regulations. But his time at the FDA was a mixed bag for cigars. Gottlieb came into the job known for a “harm reduction” approach to tobacco regulations. One of Gottlieb’s first acts was to delay upcoming deadlines for implementing the FDA’s Deeming Rule, which included new cigars. He later initiated another round of rule-making on whether the FDA should adopt an exemption for premium cigars. Later, Gottlieb pushed for a ban on flavored tobacco products. Gottlieb’s departure leaves the next head of the FDA to make major decisions regarding the FDA’s oversight of premium cigars. A permanent replacement for Gottlieb would need to go through a Senate confirmation process, which would take months given the backlog of other nominees awaiting confirmation votes. An acting commissioner could be named more quickly, but no decisions have been made about who would fill the post. The FDA could issue a final rule on the premium cigar exemption any day now and, unless it comes in the next month, it may be one of the first big decisions made by the next commissioner. If a final rule isn’t issued before late spring 2020, the rule can be overturned using the Congressional Review Act by a new Congress and president after the 2020 elections. The next commissioner would also be primed to make final rulings on flavored tobacco products and on an FDA initiative for reduced nicotine tobacco products. Cigar industry groups would do well to lobby the White House for a nominee who is likely to issue premium cigars a long sought-after exemption from FDA rules. Tampa, which calls itself “Cigar City” for its long-ago role as the hub of the industry in the U.S., may again consider officially protecting the historic factories that remain. Designating the old facilities as historic landmarks, which restricts some changes, was rejected a few years ago. Many of the two-dozen or so remaining buildings still dot Tampa’s Ybor City neighborhood, which is also home to numerous cigar shops, small rolling operations, and a giant annual cigar festival. 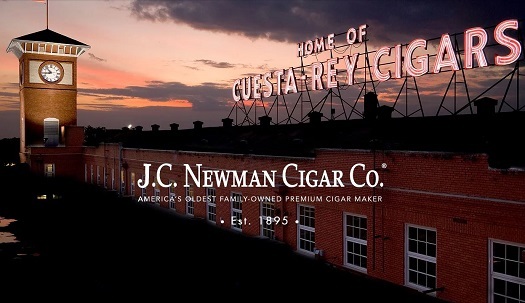 The only full-fledged factory still operating is J.C. Newman’s (pictured above). Others sit empty or have been converted to different uses. Some already have the historic designation. According to the Times, Tampa council members considered the historic landmark designation in 2006 but were dissuaded by owners who viewed it as a potential restriction of their property rights. The Santaella is a three-story building constructed in 1904, one of more than 200 cigar factories that operated at one time in Ybor City. Babe Ruth was said to stop by Santaella for cigars when the Yankees held spring training in the area. In recent years, the building has been home to local artists. It was sold last year, and the permit flap flared as the new owner was renovating. We’ve written about Tampa’s cigar history in the past, including a 2015 piece that included a reference to a terrific resource, Tom Ufer’s seminal guide to the factories in Ybor City. If you don’t find live links at Tom’s site, be sure to check back; he recently told me he’s working to restore much of the great information he compiled. Every two years, a flurry of new bills are introduced in Congress and, as has been the case every two years since 2011, a bill was again introduced in the Senate to protect handmade cigars from damaging Food and Drug Administration (FDA) regulations. Senate Bill 9, the “Traditional Cigar Manufacturing and Small Business Jobs Preservation Act of 2019,” was introduced January 3, 2019, by Florida Senator Marco Rubio. Five Senators signed on as original co-sponsors: Cory Gardner (R-CO), Joe Manchin (D-WV), Tom Cotton (R-AR), Robert Menendez (D-NJ), and Joni Ernst (R-IA). In the previous Congress, Florida Senator Bill Nelson introduced the legislation, while longtime-supporter Rubio had been an original co-sponsor who supported the bill from its initial introduction. The change takes place after Nelson, a Democrat, was defeated in November by then Republican Governor Rick Scott. Although Scott is not one of the original co-sponsors, as governor he did send a letter to the FDA Commissioner opposing FDA regulation of handmade cigars. A later report claimed Scott personally lobbied Vice President Mike Pence about the issue of how FDA regulations would be applied to cigars already on the market. The discussion was revealed in a report that noted that Swisher, which now owns Drew Estate, had made significant contributions to Scott’s campaign. Other past supporters who were defeated in November include Senator Dean Heller (R-NV) and Joe Donnelly (D-IN), though many others were re-elected. Cigar industry groups will now have to build support for the legislation in both the Senate and House. According to Congress.gov, a companion House bill has not yet been introduced to protect handmade cigars from the FDA. Florida Republican Bill Posey, who easily won re-election in November, has traditionally introduced that bill. Despite the House changing hands in the 2018 elections, most previous supporters of the bill survived re-election. The cigar industry did lose some champions, including Florida Representative Ileana Ros-Lehtinen, who retired after being a longtime advocate for cigar rights. Trump-appointed FDA Commissioner Scott Gottlieb was initially seen by many as a positive change when it came to FDA policies towards cigars compared to the Obama FDA. 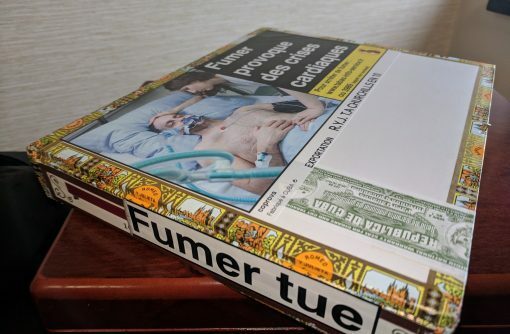 However, despite delaying the implementation of some cigar regulations, some experts worry his subsequent actions are step towards a stealth ban on tobacco products, including cigars. About a year ago, both of my colleagues praised the Robusto (5.5 x 50) from the new (at the time) Partagas Ramon y Ramon line. 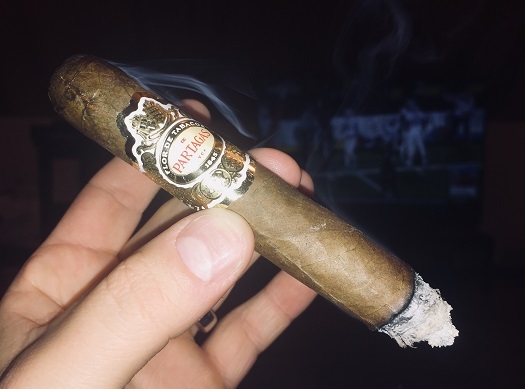 This cigar sports a Cameroon wrapper around a Dominican binder and filler tobaccos from Nicaragua (Jalapa) and the Dominican Republic (Piloto Cubano). The profile starts mild and ramps up to medium-bodied with flavors of sweet cream, cedar, oak, toast, and melon. Construction is solid. This is an easy recommendation at about $8. It’s not widely known, but when PG was creating a cigar to celebrate its 15th Anniversary, the decision came down to two final blends. The runner-up became the PG Soiree. Although I think they made the correct decision, the Soiree is also a very fine cigar. It starts out with intense black pepper and wood spice and soon develops an almost maple sweetness to go along with dry oak, hay, and some mushroom-y funk. Not as balanced as the the PG 15th Anniversary cigar, but a blast of enjoyable medium- to full-bodied flavors with flawless combustion.